Urbana FFA member McKinley Preece (left) hands out milk samples to Urbana first-graders on Thursday at Dugan Road Creamery. The students toured the facility during a visit coordinated by the Urbana FFA. 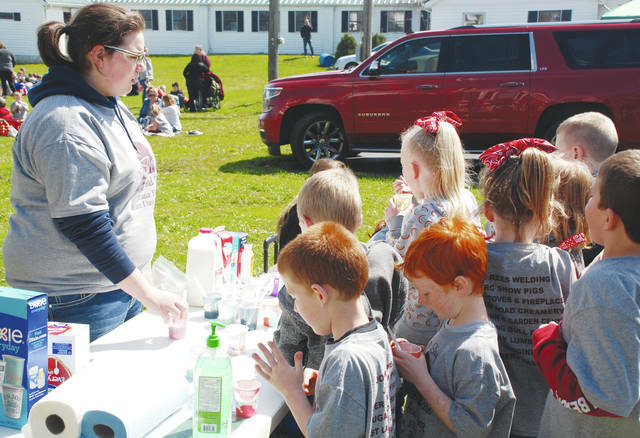 https://www.urbanacitizen.com/wp-content/uploads/sites/36/2018/04/web1_milkkids.jpgUrbana FFA member McKinley Preece (left) hands out milk samples to Urbana first-graders on Thursday at Dugan Road Creamery. The students toured the facility during a visit coordinated by the Urbana FFA.